The Palmer Schau Platz is a great location for your outdoor concert or performance. The large decorative structure has a stage that is approximately 44’ x 25’ and can accommodate up to 60 seated musicians. It has attached dressing rooms & restrooms for performers and a 400 amp electrical capacity. All of the seating at the Schau Platz is lawn seating. It can also be used for wedding ceremonies. A playground for your dog to exercise and have fun! This is a ½ acre fenced area that is designated for dogs to run off-leash. 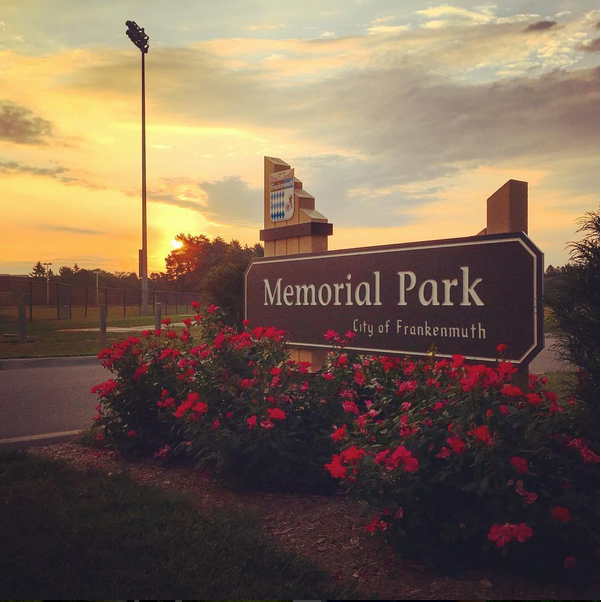 Built in 2006, and completely funded by donations, the dog park is located in Memorial Park on E. Tuscola Rd., approximately ½ mile east of Main St. In the park there are benches and dog agility equipment. Visitors should bring their own water. The garden was constructed in Memorial Park in 1965 and dedicated in honor of our Sister City, Gunzehuasen, Bavaria, Germany in 1969. It is a symbol of the friendship between the people of Frankenmuth and the land of our forefathers. It is used frequently for wedding ceremonies. If wedding plans are in your future, this is a great location to consider for an outdoor wedding. The Rose Garden is secluded in Memorial Park with beautiful landscaping, florals and plenty of picturesque photo opportunities. If you are interested in using the Rose Garden for a wedding ceremony please visit our reservations page. The City of Frankenmuth operates a public boat launch on the Cass River, accessed from E. Tuscola St. This concrete launch is designed for small boats and gives boaters & fishermen an opportunity to explore the river upstream of the dam. The launch is open year-round free of charge. A parking area provided for vehicles with trailers, along with picnic areas on shore. 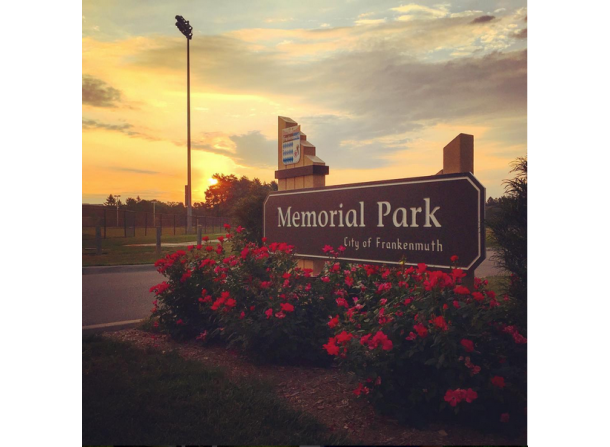 The Frankenmuth School District has 8 tennis courts available to the public near Memorial Park, behind List Elementary School. 4 of the courts have lights. The courts are open to the public daily until 10:00 pm when they are not being used for school activities. The nearest parking is located on the east side of List Elementary School. The area's only disc golf course is in Memorial Park and is open to the public. The course stretches almost 6000 feet through open grassy areas and rolling hills. There are no fees to use the course, however donations are encouraged at the first tee to help with maintenance and course improvements. The first hole starts just across the creek from the dog park on E. Tuscola, approximately ½ mile east of Main St.
Players are asked to respect other activities (especially concerts and weddings) that may be occurring in the park throughout the year. Also, please do not cut, trim, or break any brush, trees, or vegetation. Those natural features add to the difficulty and challenge of the course.